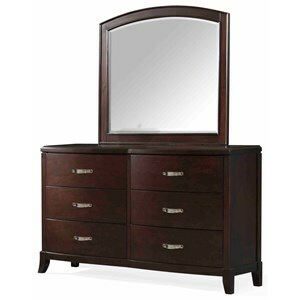 The Six Drawer Dresser and Mirror Combination is an enchanting addition to your sleeping space. 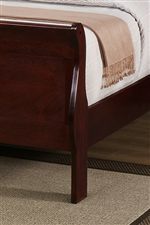 Both pieces are made with select hardwoods, cherry veneers, and a cherry finish, creating a warm atmosphere. 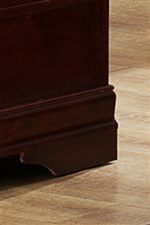 The dresser has beautiful features such as simple molding at the top, metal bail handles and bracket feet. Use the six drawers to store clothing items or extra blankets. Placing the square mirror on top creates the illusion of space and is ideal for an easy morning routine. 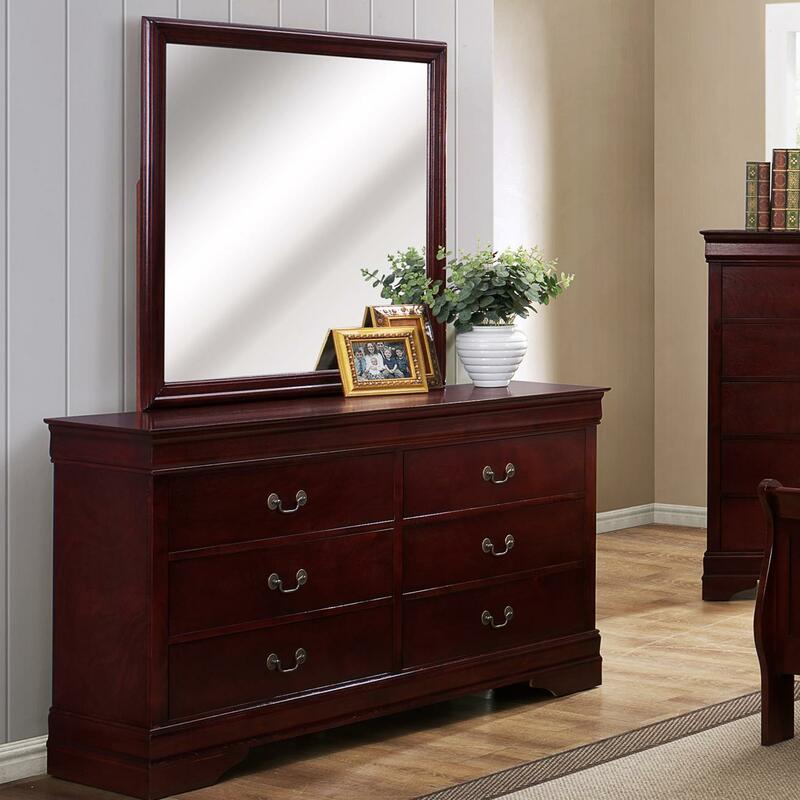 For style and storage, the dresser and mirror combination is sure to please. The B3800 Louis Phillipe 6 Drawer Dresser with Square Mirror by Crown Mark at Household Furniture in the El Paso & Horizon City, TX area. Product availability may vary. Contact us for the most current availability on this product.